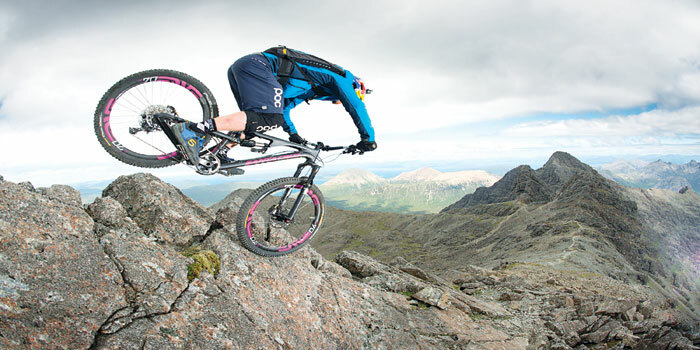 Danny Macaskill is a Scottish trails cyclist with some serious drive, topped with phenomenal talent. In his latest video, The Ridge, Macaskill heads home to the Isle of Skye, Scotland, to hop on his mountain bike for an awe-inspiring ride up the dangerous and dramatic Cuillin Ridgeline. Apparently, the crew and Macaskill spent 10 days on the shoot, enduring tricky terrain to capture him performing this exhilarating challenge. After watching this video, we gleaned an important piece of information a�� pandas do not like medicine. If you want evidence, this video which is rather an overdose of cuteness, is proof. A zookeeper experiences first hand their dislike for prescription as two cuddly pandas gang up against him and try to push him away from them. While the zookeeper, at a Chinese zoo, seems to eventually be successful at his task, the fight that the cubs put up is adorable. Dona��t say we didna��t warn you about cuteness overload. While technology may have made things easier, it certainly hasna��t always made things better. And Can We Auto-Correct Humanity is a great video that shows just how obsessive the world has become with gadgets, and how wea��re losing out on the better things in life by staring at a screen. Rapper/artiste Prince Ea raps some harsh truth about technology including things like how Facebook has really become and anti-social network and that a person probably spends four years of their life looking at a phone screen. This video will probably make you put your phone down for a minute and really hits the nail on the head about the tech-generation. In only one week of it being uploaded, over 21 million people across the globe have watched a young woman named Shoshana B Roberts walk around different neighbourhoods of New York city, silently looking straight ahead while getting cat called by over 108 men. Wearing simple jeans and a crewneck top, she gets harassed by men from all walks of life and that isna��t counting the winks and whistles. While some let it go when she walks on, others so much as walk beside her for over five minutes trying to pass on their number. A harsh reality that rings true worldwide for women, apparently.